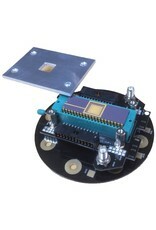 The Electron Beam Induced Current (EBIC) Stage Adaptor is designed to connect each pin of a packaged device to a vacuum electrical feedthrough. 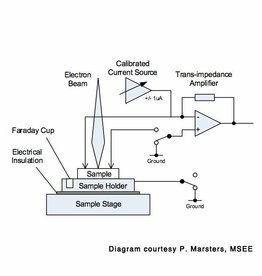 This allows measurement of device current as induced by the impinging electron beam of an SEM. A zero insertion force (ZIF) socket accepts a packaged electronic device. Additional connectors are provided for user connection of shielded cables to SMA fittings, and two Faraday cups are included for measurement of incident electron beam current. 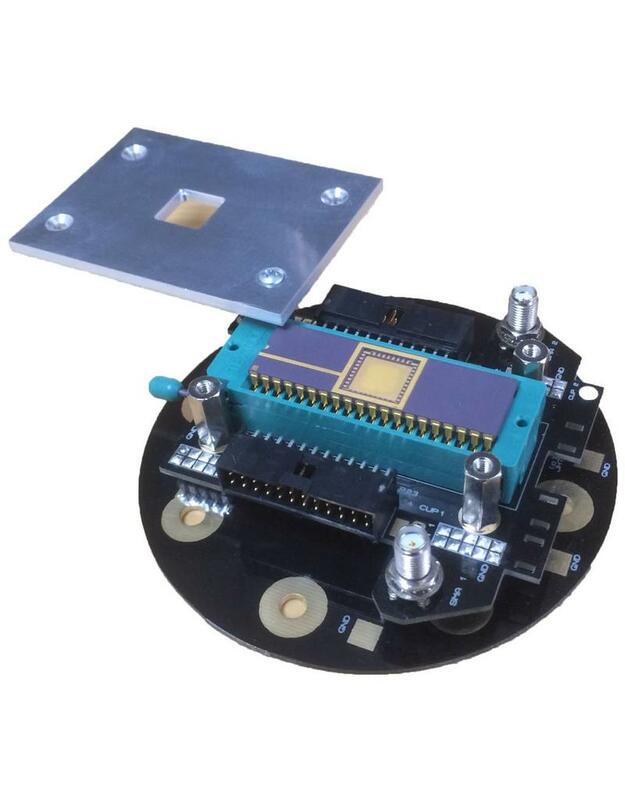 The EBIC stage adaptor is designed for installation on CamScan SEMs and 40-pin DIP devices, though its design, consisting of modules for the stage interface, device mount and ground shield, allows for mounting on FEI, Zeiss and other SEMs. Study of devices mounted in other types of packages can be accomplished similarly with a change of the ZIF module. Two DB25 male connectors attached to two leads coming from the device. They are labeled "1-20" and "21-40" and are to be connected to corresponding female DB25 connectors on the vacuum side of the electrical feedthroughs. The connector labeled "1-20" has pins 1-20 that sequentially correspond to ZIF socket pins 1-20. Additionally, there is a black wire on pin 25; this pin goes to the upper/leftmost Faraday cup. Pin 1 wire is coded white, remaining wires are red. The connector labeled "21-40" has pins 1-20 that sequentially correspond to ZIF socket pins 21-40. Additionally, there is a black wire on pin 25; this pin goes to the lower/rightmost faraday cup. Pin 1 wire is coded white, remaining wires are red. Two SMA type connectors mounted to the board on the bottom/rightmost edge; these simply break out into a three pin header (unpopulated) and SMT pad (unpopulated) each, for user utilization as desired. Two sets of 4 vented standoffs; they are of different lengths to facilitate user preference in mounting the ground shield.